PHOENIX – Tesla recently announced major layoffs across all its operations, hoping to cut costs and price its electric vehicles to be more competitive with gasoline-powered vehicles. The move came a few weeks after the Trump administration pledged to end Obama-era federal tax credits for electric vehicles of up to $7,500. Some states have policies to subsidize and encourage electric vehicle use, but Arizona has only now taken its first steps in that direction. The transition to EVs will require major investments in incentives and infrastructure, but the price could actually be less than the environmental and health costs of the status quo. Outside the U.S., electrification technologies are more widespread and accepted, and not just in passenger cars. At Formula E races across Europe, electric cars compete for coveted international titles. There are 22 cars from nine manufacturers on the FIA-sanctioned circuit, all powered by electric motors that can propel the cars to nearly 150 mph. ON Semiconductor of Phoenix designs and manufactures the computer chips used in these racing motors, whose whine sounds a lot like a blender with a missing blade. ON also designed chips for Tesla to develop its pilot technology. “We’re now entering season five of Formula E racing, which is taking the race cars and electrifying them. So now it’s going from a combustion engine that’s burning gas into a battery-powered vehicle,” said David Somo, senior vice president of strategy and marketing for ON. Racing Formula E in Europe was a natural fit for the technology, he said. Europe has enacted several environmental policies that support alternative fuels designed to reduce greenhouse gas emissions, Somo said. In the U.S., electricity is considered an alternative fuel under the Energy Policy Act of 1992. It’s not like Americans aren’t buying EVs. According to Green Tech Media, 2018 was a record year for electric vehicles, with 361,307 units sold. But electrics still represent a small fraction of vehicles on U.S. roads. “Americans are buying SUVs and light duty trucks at a much, much higher rate, where last year we sold a little less than half a million electric vehicles. We sold over 10 million SUVs and light duty trucks,” said Paul Lewis, vice president of policy at the ENO Center for Transportation, a Washington, D.C., nonprofit think-tank focused on transportation issues. “Transportation has been particularly difficult to decarbonize. And in fact, vehicle-miles traveled is growing, and so are the emissions related to transportation. So we have a huge environmental challenge in front of us related to transportation. It’s a particular challenge for a state whose top industry is tourism. That means as a growing number of travelers come to Arizona, more cars will be on the road. That will be in addition to the increasing number of drivers added as more people continue to move to Maricopa County each year. At one time, Arizona drew people seeking relief from respiratory problems. Now, Maricopa County receives a grade of “F” almost every year from the American Lung Association’s “State of the Air” report. Phoenix ranks as the eighth most polluted city in the country, measured by ozone level. Ryan Cornell of Phoenix drives a Tesla Model 3, the latest of several electric cars he has owned. Yes, the car was expensive – prices start at more than $45,000 – but he sees it as an investment. “Whether it’s five years, 10 years or sometime beyond that, we need to go to 100 percent, and we need to go to 100 percent renewable energy,” said Cornell, whose master’s thesis at Harvard Extension School compared the costs of EVs with those of vehicles powered by internal combustible engines. “Clean air is clean air. A liveable climate is a liveable climate. And I think people forget, too, that … the EPA was founded by (President Richard) Nixon. There’s no reason that everybody can’t be on board with some of these policies. In December, the Arizona Corporation Commission adopted policies to encourage Arizonans to switch to electric vehicles and utilities to invest in infrastructure to support it. “Because of the nature of the power that electric vehicles are going to use, you have to be ahead and start developing programs and policies and tell utilities to prepare for it,” Commissioner Boyd Dunn said. Dunn also noted the economic advantages EVs could bring to the state, such as the Lucid Motors plant planned for Casa Grande. “We want to encourage the electric vehicle industry to locate in Arizona,” he said. The commission received several letters objecting to the EV policies. 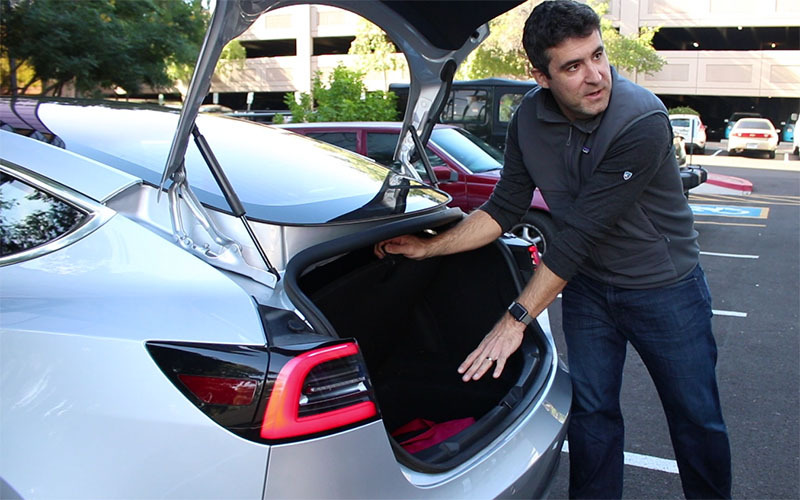 “And I’ve heard from individuals who say, ‘Well, I don’t intend to have an electric vehicle. I don’t want to be paying a subsidy to let others have electric vehicles,’” Dunn said. Electric cars are expensive, and building infrastructure to support those cars comes at a high cost – one residents may not be willing to pay. But at what cost to human health and the environment?